Like most early photographers, Huffman produced a number of photomechanical prints; his were called “collotypes.” They are high quality, difficult to tell from photographic prints, and have caused much confusion among historians and collectors. This book will end the confusion! It identifies, describes in detail, and pictures all of the known collotypes; it also features a quick reference chart. 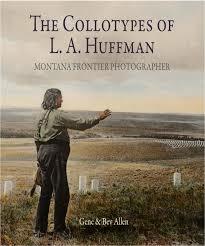 The book has 168 pages and more than 140 illustrations that cover the full range of Huffman’s work.